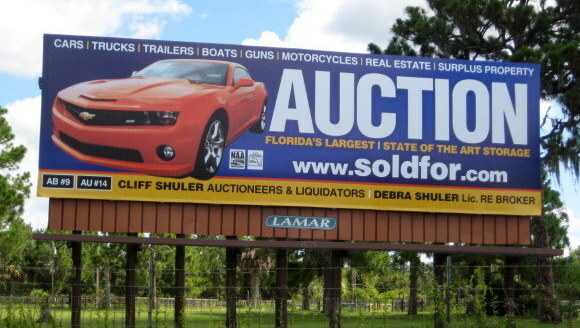 Before you hire an Auctioneer you should check their references. 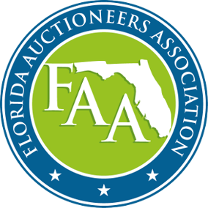 If you need the services of a professional Auction company, discover what leading area Banks, Businesses, Local Municipalities, Estates, Attorneys, Personal Reps, Bankruptcy Trustees and Individuals already know. Serving the entire State of Florida since 1979. 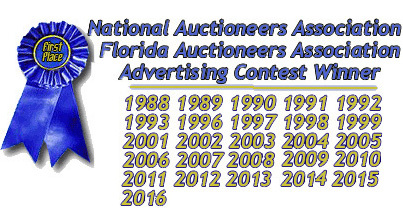 We are a Full Service Auction Company with a Team that offers over 195 combined years of experience! Licensed Auctioneers, Licensed Auction Business, Licensed Real Estate Broker with Licensed Agents, Licensed Federal Firearms Dealer, Licensed Motor Vehicle Dealer. Bonded. Auctioning everything under the sun, from Real Estate to Diamond Rings to Tupperware, usually including the kitchen sink! We are proud to be an Agent for Joe’s Club Brevard Alzheimer’s Foundation in their vehicle donation & other fundraising programs. Ask us how you can help!